A1. Mux Mool - "International Death & Dismemberment Plan"
A3. Mux Mool - "Thrust"
A4. Mux Mool - "Raw Gore"
A5. Mux Mool - "Menu Chow"
A7. 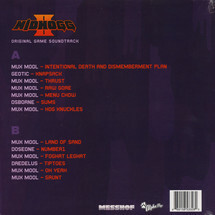 Mux Mool - "Hog Knuckles"
B1. Mux Mool - "Land Of Sand"
B3. 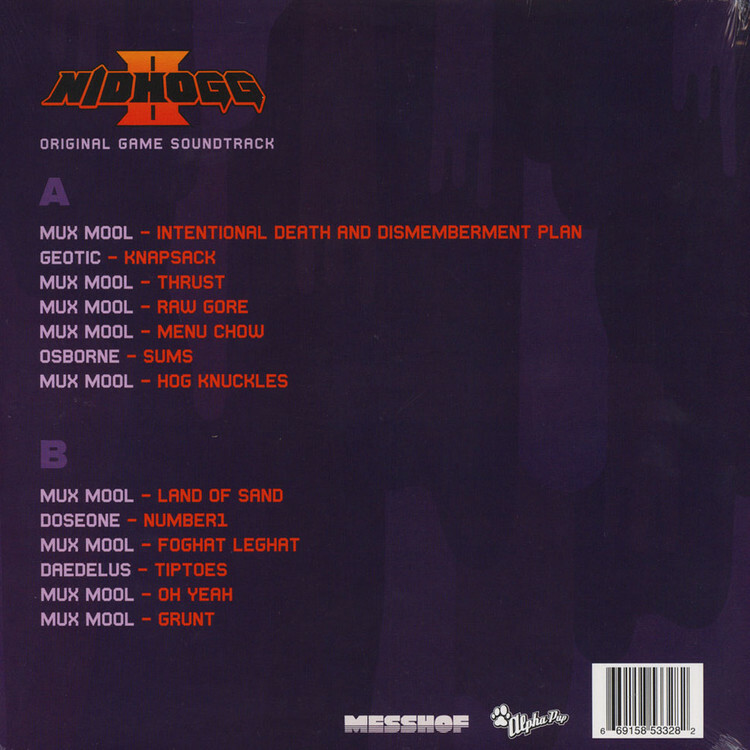 Mux Mool - "Foghat Leghat"
B5. Mux Mool - "Oh Yeah"
B6. Mux Mool - "Grunt"
Sequel to the indie hit of 2014, Nidhogg 2 builds upon the award-winning gameplay of its predecessor with new weapons to wield and levels to master, head-to-toe character customization, and the captivatingly grotesque art of Toby Dixon and with music from artists including Mux Mool, Baths, Doseone, Osborne, and Daedelus, Nidhogg 2 has a soundtrack so good that even the menu screens are awesome.